Its on a short cable, so you know that whatever it plugs into has to be within a short distance of that, or is missing from the engine entirely. Obvious, I know. 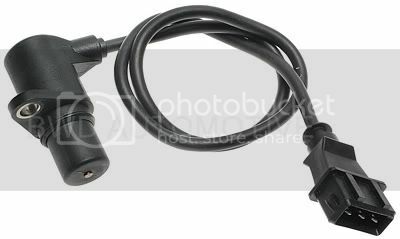 It's most likely a sensor or solenoid connector because it's a 3 pin connector. It might be helpful to look up the wire color codes if you have a factory manual or something with schematics. I'm guessing it's something like a coolant temp sensor. It's not the cam angle sensor, I can see that plug in the picture. 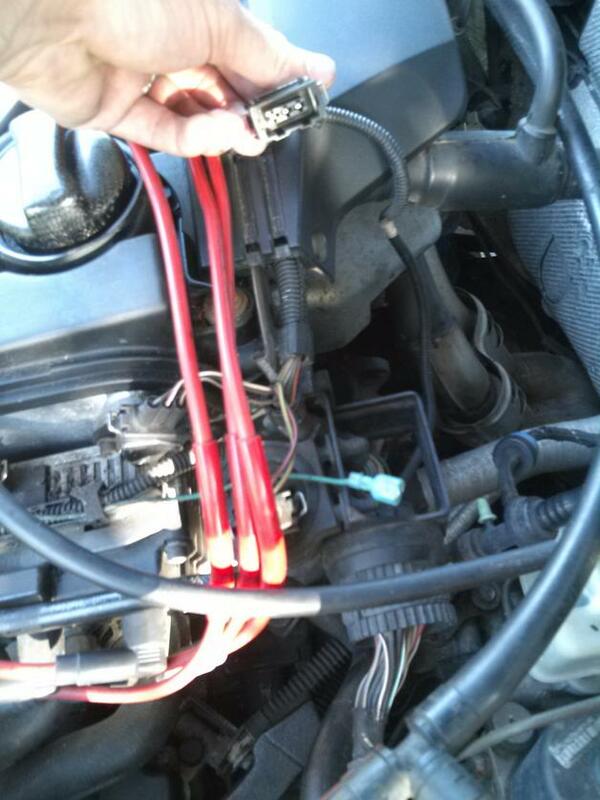 Do you think that sensor would cause the car not to run? I'm not a VW guy, but I'm really assuming they color code everything like all of the other brands. Look at the wire colors coming out of the connector and look it up on Google. That's probably the fastest way to get an answer, and the first thing that I would try because it's easy. There will be a main color with a stripe most likely, and that's really all you need to know. Being a 3-pin connector, there will likely be a power wire (12V or 5V depending on what type of device it actually is) and a ground (power or signal ground depending on the type of device), and a signal wire. I'm going to take an educated guess and say that connector goes to the crank sensor, which is probably underneath the engine and probably has a short cable coming out of it (which would make up the extra length needed). That would definitely cause a no-start condition. That would definitely mate with the connector you have.